In my pursuit to become a conscious consumer, worried of the chemical laden products surrounding us and spewing poison every day to the ever polluted river and land; I am equally perplexed at the too many choices of herbal and natural and organic products screaming at me on the supermarket shelves! 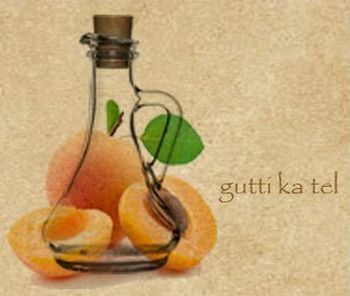 ‘Gutti ka tel’ as locals popularly call it, is apricot kernel oil extracted from kernels of apricot fruit, found in mid-hills and dry temperate regions of Himalaya. In India, apricots are found growing in Himachal Pradesh, Jammu & Kashmir and Uttarakhand. In Himachal Pradesh, it is grown in the districts of Shimla, Kullu, Chamba, Sirmour, Kinnaur and Lahaul-Spiti. 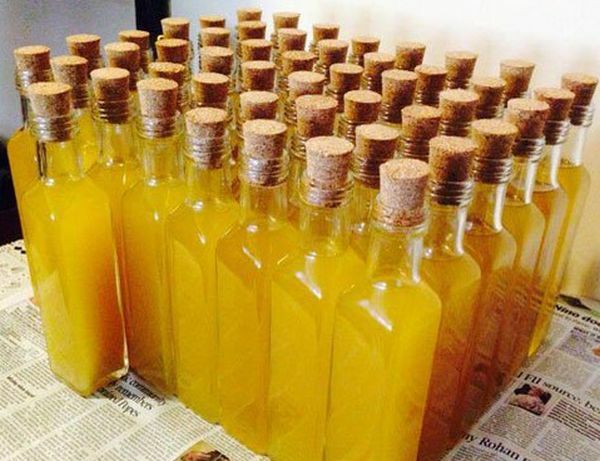 Surprisingly in the Kullu- Shimla belt, people continue to extract this oil only for self-consumption. I am told, because of no demand and not being a major cash crop, in recent years the apricot trees have been replaced by the so called commercially thriving apple trees. Agriculture being the main occupation of the state and a major source of employment, along with the fact that major population of the area is rural; its share in the Gross State Domestic Product has been consistently declining. Thus, it’s highly imperative to strengthen the rural village economy. A highly profitable fruit crop like apricot has the potential to raise rural employment and increase agriculture’s contribution to state’s GSDP if leveraged well with proper marketing strategy and government’s aid. In the meantime, I am happy to have found a wonderful gift for my friends and surprise them with ‘Gutti ka Tel’!